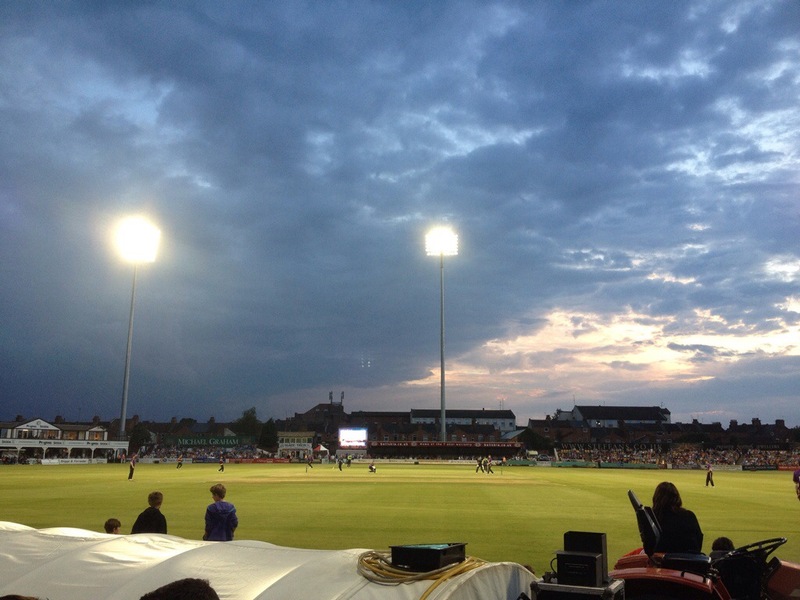 Friday 13th was the day I went to watch my first live 20/20 cricket match. Not one for the cricket purists, 20/20 cricket is designed for those who enjoy attacking cricket. The promise of big shots, high risks and fast ticking score boards it certainly promised to be entertaining. The game was between my local side and defending champions the Northampton Steelbacks and my home team the Yorkshire Phoenix. As soon as I got into the ground my Yorkshire roots took control and there was nothing stopping me from cheering on Yorkshire. The atmosphere was good and before the game started we walked down to the end where Yorkshire were preparing and spoke to a couple of our players. Had it not been for someone’s inability to take a photo correctly, I would have had my photo taken with Ryan Sidebottom who is one of my favourite Yorkshire players. I am still hopeful that another opportunity will present itself before it’s too late. Disappointment aside, I was very much looking forward to the game. 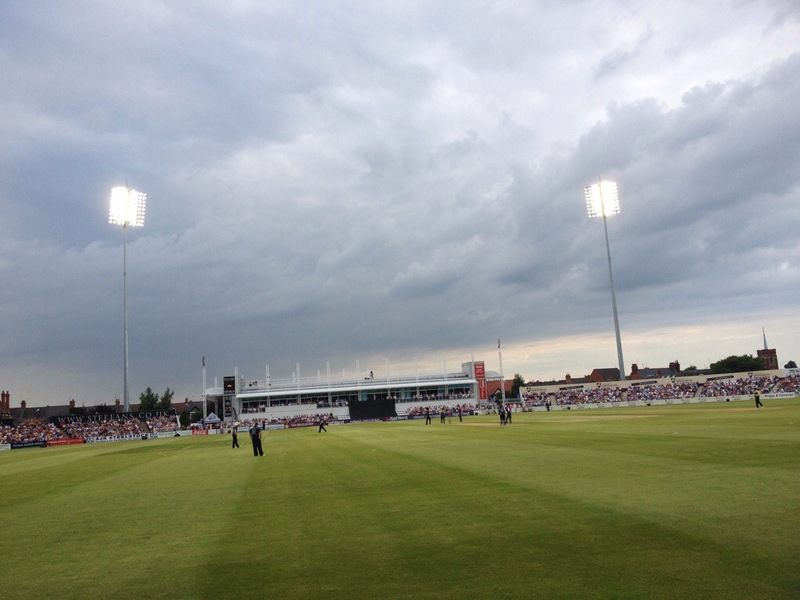 Yorkshire batted first and after losing 3 early wickets, a 90 run partnership between Jonny Bairstow and Adam Lyth saw The Vikings post an impressive 181-3 off their 20 overs. Some lovely bit hits saw the crowd subdued and me going crazy applauding each one with as much enthusiasm as the last. It was at this moment I realised there was probably only a handful of Yorkshire supporters in the ground. Northampton needed to start fast and despite also losing 3 wickets early their South African batsman Levi was in fine form. He hit numerous boundaries including a couple of long sixes before a breathtaking catch deep on the boundary by Lyth ended his innings and with it Northampton’s chances of chasing down the runs needed. 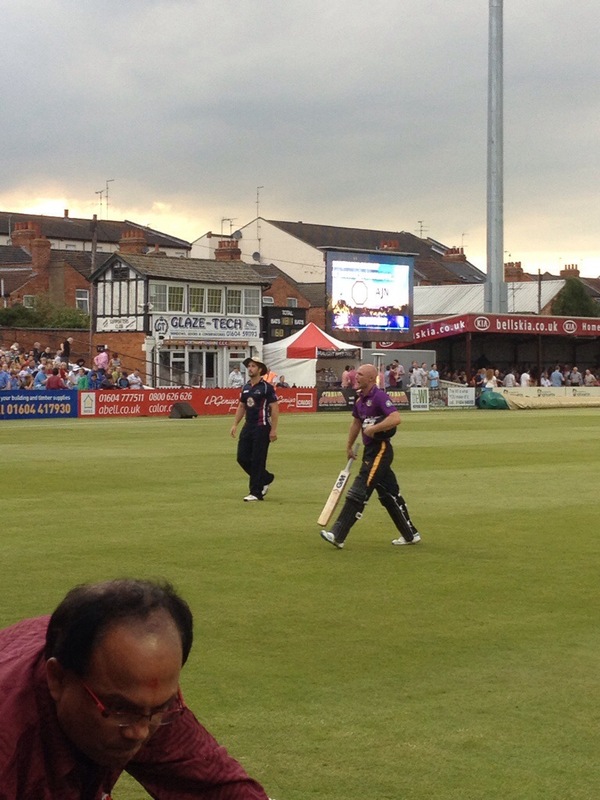 Rightly applauded for his 76, the Steelbacks regularly lost wickets and fell short on 165-9. It was a fantastic nights entertainment which looked visually stunning in the dark under the floodlights. I was extremely happy and it showed what a fantastic effort it was by the Vikings. I will be back again for sure! !